*Sigh* I wanted you to be good. Maybe that’s on me. I truly believed Ciera had a little more to her game than that. She didn’t do anything, and she was discarded as I might have believed Caleb would’ve been. The game got the better of her, and like so many before her, she became little more than death fodder, than the pretty girl who gets slashed at the beginning of many 80s-horrors. She was the “sacrifice” archetype, the necessary first casualty in what could be a blood bath of a season (strategically and physically—that snake was insane!). May her early (and what seemed a far too easy) exit speak well of the gameplay to come? Let’s hope so. Let’s look at the positives, you went to two Tribals. Who would’ve guessed it’d be that many? In ancient Greek myths, the hero Hercules was asked to do twelve impossible labors by the Goddess Hera. Tony, in Survivor standards, was the first of those labors, the “initial trial” archetype in many fantasy books. He was the first major beast that needed destroying, and destroyed he was. When it came down to do it, it was not some valiant, hard fought battle in which Tony fell but with dignity, it was a whole tribe voting against him. While I’m not surprised to see him gone this early, I’m shocked by how quickly he lost a hold of the game when he actually had it in his grip. He was obliterated. While I’ll get to her in a bit, let me just say, I underestimated Sandra. She is a force. Now let’s get on to our still-developing (or in some cases, developed) cast members, and how some edits are making me rethink some of my preseason predictions already. Since she was on a dominantly winning tribe and ruffled zero feathers, we were merely politely reminded she was on this season as she talked about her gameplay whilst the scene cut to her missing an advantage (one which could have made a huge difference to someone like her). Her lack of content this week lets me say two things: I think what was shown of her suggests she goes out right around seven once again, and I can’t say just yet what her archetype will be. Still, getting to the final seven or better three times in a row is tough. Props to Andrea to falling just short again. I think Cirie’s edit is pretty good, all things considered. The edit set up her trying to recapture her magician archetype from Micronesia, but being met with opposition. Almost everywhere she turned, people held their reservations about her physical abilities and/or how terrifying she really is at the game. If OG Nuku stuck together a little longer, I’d say Cirie’s life in this game is hanging by a thread. A new tribe, however, could be the reset she so desperately needs. Cirie looks like she may be the tragic hero of this season, the underdog who started in a bad spot only to find herself battling it out at the end. She’s the one the edit is setting fans up to root for. Much like David from MvGX, however, I’m thinking the edit suggests she goes out just before the end, dooming her to repeat what must be a frustrating cycle. Side note for this goddess of a player, I thought it was interesting she appeared to opt out of challenge number two herself. You’d think, given that she knew she was in a hot spot, she should and try and help her tribe win anyway she could to avoid what very likely could’ve been her early dismissal. Oh well. Far be it for me to question one of the greats. WWMD. This acronym stood out to me as an important clue for the husband of a former runner-up. What would Monica do? Well, she’d find a way to a FTC against someone she could not beat. Although I’m unsure what Brad’s archetype will be just yet, I’m unhappy to say this man may be around for a long, long time. Woah, Debbie, not expecting that edit. Were Debbie’s confessionals as erratic as ever (save for no job description)? You bet they were. Still, Debbie was not shown amid any sort of controversy or tension on her tribe, which astounded me. 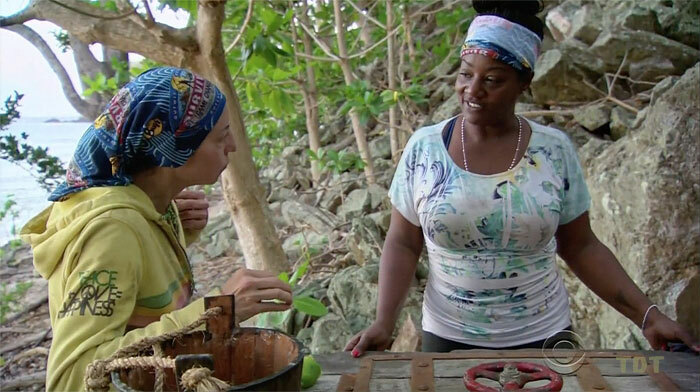 Not only that, Cirie willingly came up to her hoping to work with her, and Debbie, taking things a step further, correctly saw through what looked like a Cirie lie. I couldn’t be happier about all of this. Debbie might just be able to last to the Merge, and if she can do that and learn from her original season…is Madam Wanner really a late-gamer? I, personally, hope so. For those who read my preseason assessment, please recall how I mentioned JT might not stick around long enough to be relevant. 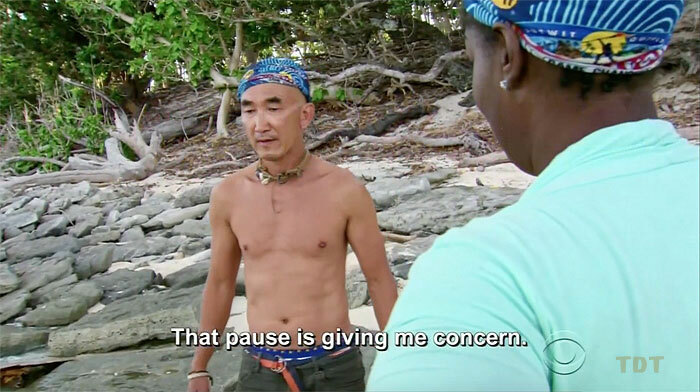 Now, pair that with the edit he got—that of the “fool” (just a regular one, not a Shakespearean one)—and the promo showing him abandoning his tribemates out at sea, and one thing is clear: JT ain’t making the Merge. His first confessional was about Tai and chickens. We know, Tai liked chickens. This isn’t new, and neither are you. That, my friend, is the problem here. Though I’ll touch on it more at the end, this season is going to hit us over the head with “being new.” Sorry, bud. Lay off the fatty food and think back to Tocantins on your loser’s trip. Again, too soon to say what Ozzy’s final archetype will be, but he was shown importantly to not have lost any of his physical prowess. More than that, he seemed perceptive about threats (subtly mentioning he wants Cirie out because she’s less than good at challenges), and was given a pretty positive and laidback edit as a whole. He’ll likely make his way to Juror number three or four, but if he can just win every challenge from then and beyond…who’s to say? Ah, my winner pick. 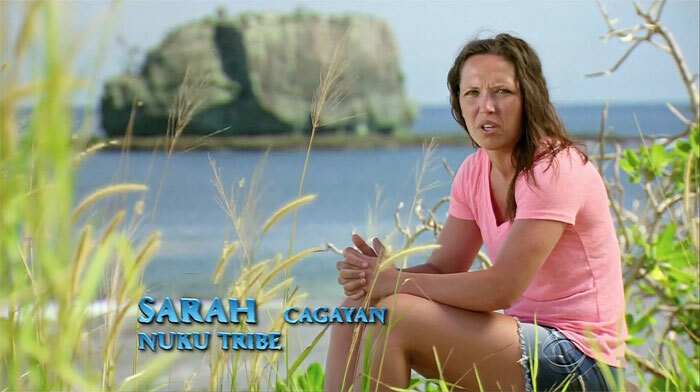 Though Sarah wasn’t in this double episode much, what she did say showed something very important to the season’s theme: she’s not playing like she did in Cagayan. Will that statement come to fruition? Will she become the silent assassin? Well in a season where people are already scrambling over one another to take the reins, subtly might just help you out. Sarah’s sticking around for a while. I’m frustrated Sierra found the secret advantage, and I’m frustrated largely because I have a sinking feeling it’s really going to come into play at the final six, boosting her further into this game. Could I be wrong about this blonde, athletic beauty? Could she be the next Wentworth? Of course. But as of yet, Sierra is a just an empty casting choice, one who looks like she’s going to be around for a long time yet. Side note, while I laughed quite a bit during Jeff’s opening voiceover about how some players made “subtle moves” as the camera panned to Sierra (even the producers and casting folks know she didn’t really do anything to warrant her being there), I stick by what I said in Sarah’s blurb above. Subtly may very well work in this game. Sierra’s in it for the long haul. Tai does not seem like an overly complex man to me, and as such, I think he’s just going to fit right back into the saint archetype. He’ll care for the chickens, he’ll have a bewilderingly difficult time lying (his comically long silence when Cirie asked him what Ozzy had said was painful to watch), and he’ll be outwitted by high-caliber players. You deserved to come back, Tai, but you’re not going to be anything more than a supporting character. Although there are still at least five boots before the Merge and Jury, I have to say, I think I am going to be happily wrong about Zeke from my pregame assessment. Although I still don’t think this boy is winning (though how incredible would it be if he did? ), Zeke’s edit in the season opener promotes one thing to me: at least moderate longevity. His whole edit is reminiscent of his wanderer/pilgrim archetype in MvGX. His experience out there is not defined by how well he does, necessarily, it’s define by proving he deserved to be there, that he is a real, bonafide all-star. Something tells me he will do just that, and I couldn’t be happier for the man. He loves this game, and I resonate with that. Party on. Aubry…dude, what happened? 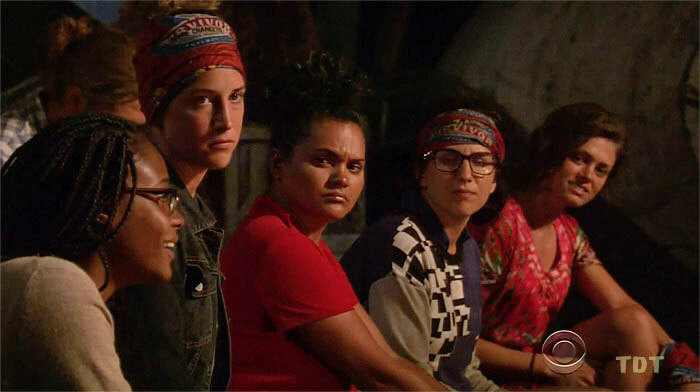 I was not that pleased with Aubry’s edit given my hopes and expectations for her. She claims she needs to surround herself with threats (which is swell in theory—see Jeremy Collins), just as she goes and axes two perfect ones to keep around. Luckily for her, the tribes are getting broken down already, and if she can just take a deep breath and regroup, she still could make waves in this game. It worries me, however, how little content we got from her given as she was a decoy boot in the second part of episode one. Maybe she doesn’t develop into the later-game factor I figured she might? Wow. I really overestimated this man. I truly thought he could make it to the late pre-merge section of this game, but with a strong combination of aligning with a doomed player and having the word “strong” make up a good third of his vocabulary, this boy is out and he’s out soon. If JT is this season’s fool, Caleb is its “dumb jock” or traditional “athlete” archetype in many horror flicks. Much like the sacrifice, this character is often around to be a bad male stereotype before getting hacked to pieces for embodying such nonsense. Remind me again why Swan and Skupin aren’t here? Charming as ever, Hali’s lack of content (aside from comparing herself to a cobra) makes it difficult for me to assess what the premiere had to say about her. She’s still a mystery to me insofar as she could go next or make it to the end and win. Who knows? Side note for Hali…who the **** thought it was a good idea to have her go out and swim for those keys against Ozzy? She did a fine job all things considered, but was she really that tribe’s strongest player in the water? Really? You needed a swap, and you needed it bad. Would it be likely that Mana would cut one of their top physical assets immediately after Tony’s departure? Not really, but then again, if Sandra has her alliance and if swaps are all but inevitable in a season about a changing game, why not just keep knocking off threats? 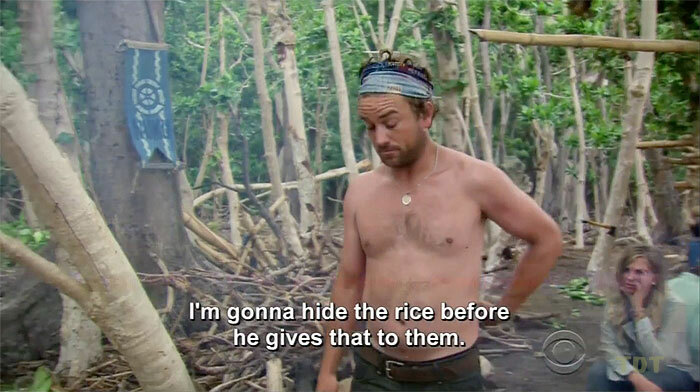 Sure, maybe Aubry goes first, but Malcolm would be gone soon thereafter. He needs to swap and keep his head down for a bit so I can figure out what his archetype is and where his story is going (or even ending). So much here to love, so much here to not. Michaela is once more the season’s antihero. Again, she was pegged early as the outsider on her tribe, but again, she found herself in a majority. What I did…two things here. I loved how she played up the only reason she’s on the season is because she’s a physical beast. While that’s true to an extent, we know this woman is smart, smart, smart. The other castaways don’t know that, and the longer she can make them doubt her intelligence, the more room she’ll have to maneuver. Secondly, I thought her ploy to write an ‘M’ and scribble it out as though someone might have mistakenly almost voted for her was subtle and genius. Not only does it spark paranoia in the larger group (Sandra must have thought: who is dumb enough to do that? ), but it allows for Michaela’s loyalty to be rationally up for grabs. If she can’t trust that those she’s with want to keep her, why wouldn’t she be within her rights to keep looking for a new deal? Good move, Michaela. What I didn’t…this one is obvious, but her not playing nice when her name was the decoy boot was bad, bad, bad. Be pissed about it, sure, but do it in a confessional. It’s bizarre to me that someone as self-aware as Michaela (claiming her facial expressions and social game can get her into trouble) still can’t control various things about herself. It’s like you’re holding a stick of dynamite in one hand and a match in the other. You know blowing yourself up is probably not high on your list of priorities, yet you just can’t help but light the dynamite anyway. I’m less sure now that Michaela will be in the very, very end, but I think she’s going to be fun to watch until she finally explodes. I said it above, but I really underestimated the two-time winner. Maybe the edit was just overly kind to her, but jeez…she rallied the entire tribe behind her plan, even those who liked Tony—Caleb and Malcolm. I understand much better now how she won twice. Still, this overly-dominant ruler archetype is not something that can be easily handled. It probably won’t be next week, but Sandra will crash and burn soon enough. Survivor editors love dethroning monarchies. Troyzan, right now, is in the same boat as Hali. He wasn’t in the episodes all too much for being on the tribe that went to Tribal twice, but what I saw I generally liked. He saw through Tony’s deception, and he didn’t lose his cool when Tony confronted him and Sandra at night. Looks like a few years removed from the game might have tempered the man, and that could bode very well for his chances. Still, if he went out next week, I wouldn’t be dumbfounded. Only time will tell. 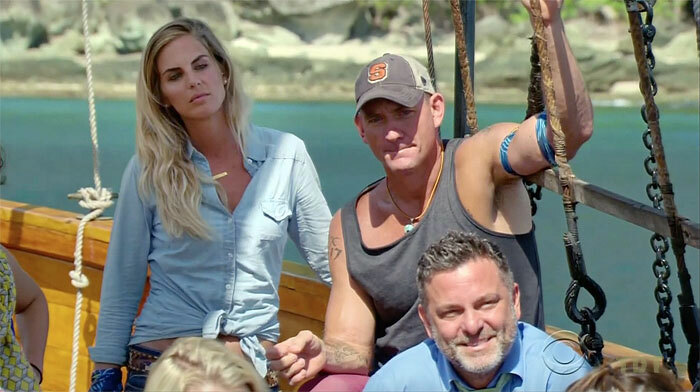 Anyone else notice Varner mention how this time around, losing the first Tribal Immunity, was just like how his first two Survivor experiences went? Anyone remember how they all ended? Although I don’t know this for sure yet, Varner is here to represent dramatic irony and stand as an archetype for nominal tragedy. We the viewers can see the parallels in Varner’s Survivor story (losing challenges and being less than physically stellar in them), but it would seem he is doomed to repeat the same mistakes. Will he go home immediately? Doubtful. But will he become potentially the fourth person to play multiple times and never reach the Jury? This, my friends, I think is all but certain. Remember everyone, this season is called “Game Changers.” Don’t forget, okay? It’s just as important as Ciera booting her mom…no, we mean it this time. It’s important. This season, especially given the name and the fact it is (technically speaking) an all-star season, is all about change. Even if the editors have to bend over backwards to do it, I predict they want those who change their games from previous outings to be displayed in the forefront, right along with those who change this game as it progresses. As such, this season’s main characters are going to be those who either learned from their mistakes the first time around or at least make a conscious effort to do something different. From the premiere, we already have a slight idea as to who is going to repeat what they’ve done in the past, whose destiny has yet to be decided, and who is willing to play different games. For instance, Ciera and Tony were both known for their scheming and antics respectively, and as the pair did just what one might have predicted, they were sent packing quickly. Be it the truth or not, the edit showed little signs of adaptability from what the pair had done in the past. Similarly, Caleb, Andrea, JT, Varner, Sandra, Zeke, and Tai have all shown to be the relatively same predictable characters we either had no interest in seeing again or made us root for them in the first place. The unfortunate reality of this edit, however, appears to suggest none of these people are our winners. While folks like Andrea, Tai, and Zeke may likely make the Merge, I don’t think they’ll be there at the FTC and certainly not as champs. The middle category of people contains those who haven’t been shown much in the first place. There is nothing damning about lack of first episode content, even in an episode this long, but it does appear to create an aura of uncertainly, which is nice considering I have a sinking feeling this season will be increasingly predictable. For now, this category consists of: Malcolm, Sierra, Troyzan, Hali, Aubry, and Ozzy. I’m thinking at least one or two of these folks are getting lacking content because of their overall irrelevance to the season—i.e. a pre-Merge/Jury boot. Who? Honestly, couldn’t say (except for Sierra, because them long legs are going to be here for a time or two to come). The third category is where I truly believe our winner lies (though Malcolm, Sierra, Troyzan, Hali, Aubry, and Ozzy could all still evolve into this category), people who have at least mentioned the fact they need to play different games. Whether or not they do so successfully or not remains to be seen, but in no particular order, those people who I believe have the best shot of winning (after one episode, mind you) are: Sarah, Debbie, Culpepper, Michaela, and Cirie. Yes, yes, yes, although I’m writing this with a fairly bad cold and just worked back-to-back fourteen hour days at a bar, I’m not delirious. Culpepper and Debbie. I know. Again, I have counter-arguments as to why Culpepper and Cirie won’t win, but they’re certainly in the running, as of now. Yet, in a season where changing one’s game appears to be the paramount concern, all of the above have noted they needed to change something (Sarah, Culpepper, and Michaela), simply showed a shift in gameplay from their previous excursion (Debbie—despite giving as entertain confessionals as ever—not being cast as a weirdo but as someone a serious strategist in Cirie at least wanted to work with while being able to detect what was edited as a Cirie-lie), or having the nature of the game forcing itself to make someone play different (Cirie by the mere fact no OG Nuku feels comfortable with aligning with her). This is important to the story the editors want to tell, and make no mistake, my friend, Survivor is a story. The editors are the authors. Okay, at the end of each of these posts, I’m hoping to do some closing thought that connects some trivial moment (or maybe something not-so-trivial) to the broader game, especially if I haven’t touched on it much before. This week, although I know I mentioned it, I want to focus on Andrea’s Sierra’s secret advantage. 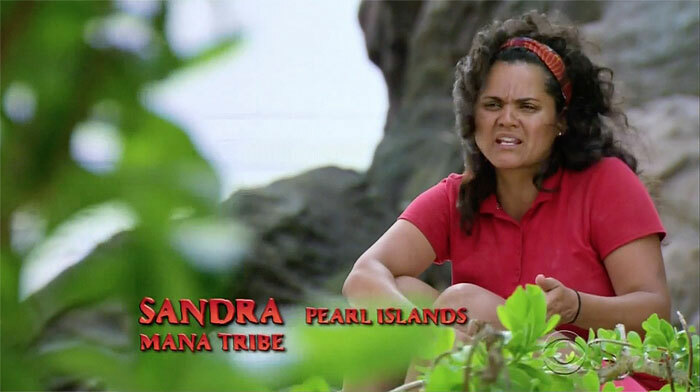 As I and other posters have noted, Andrea’s demises have really never been colossal blunders, merely small little errors in her social game (Caramoan) or simply being unable to stop a professional at the game in her first bout (Redemption Island). As she seems like the same gal we all remember, wouldn’t it be funny if Sierra plays her advantage at the final six (because Sierra will be in the final six), and Andrea is the victim of that play? It’s extremely conceivable Andrea works her way back to the final six, and what shows a lack of game change better than a small, tiny, itty-bitty oversight on day one losing you the game on day thirty-five? Okay. Sorry. Fan-fictiony, I know. But what if? Whew. Sorry for the novel, everyone. Hope this was at least moderately entertaining. I guess the last thing I have to do is predict the next boot? Hm…well we have a bunch of potential casualties, especially given a swap so… Caleb, Sandra, JT, Varner, Malcolm, Aubry, Hali, Troyzan, Zeke, and Michaela are all in the running for me. That being said, Michaela and Zeke need time to change their game and prove their all-star status respectively, so they’ll make it. 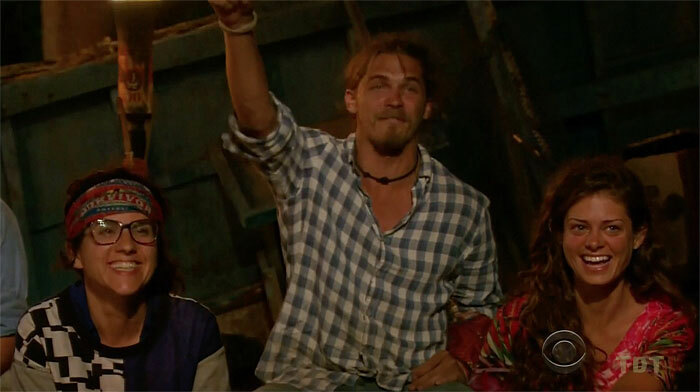 I want to give Malcolm and Aubry the benefit of the doubt and say they’ll rebound, and Hali and Troyzan would’ve likely gotten more screen time if their fates were sealed this early. Varner is tempting, but again, for someone who I predict won’t make the Merge, production would’ve wanted to milk a few more golden confessionals out of him before his boot…so Caleb and the two remaining winners. Sandra’s power trip is still rolling strong, and I think it could continue after the swap. So, let’s flip a coin on JT and Caleb. I’m literally going to flip one right now. Heads JT, tails Caleb. And…heads. JT. Thanks for joining me this week, dear readers. Leave your comments below, and I’ll try and respond as quickly as I can.